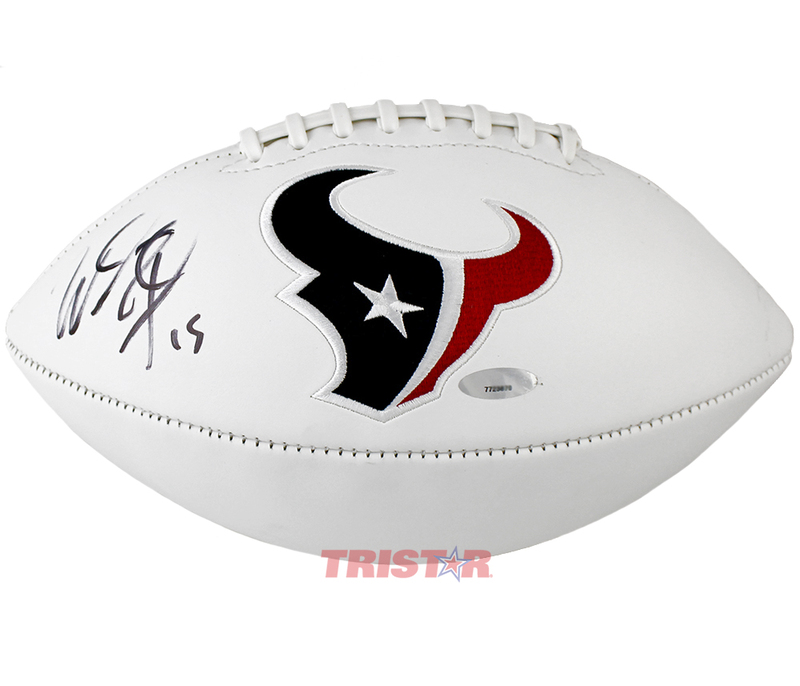 This Houston Texans logo signature series football has been personally hand signed by rising star rookie wide receiver Will Fuller. Each autographed football includes an individually numbered TRISTAR Authentic hologram. After an impressive career at Notre Dame, Will Fuller was selected by the Houston Texans in the 1st Round of the 2016 NFL Draft.